Craving spicy, hot, and tasty food? Then head to Mao The Family Restaurant in Andheri West for some delicious kepsa. Kepsa is a combination of rice and kebabs. They have delicately spiced rice layered on top of delicious mouthfuls of heavenly kebabs. The restaurant has a variety of items on their menu including some really good vegetarian options as well. So while they do serve a range of dishes, kepsa rice is their speciality. I recommend you try their chicken tikka kepsa. 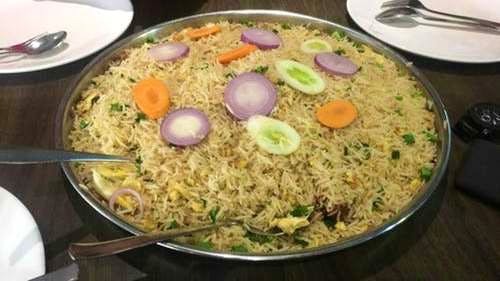 Vegetarians don't need to be disappointed as they have kepsa rice in vegetarian options as well. The vegetarian variant is served in abundance. You will need at least 7-8 hungry friends to finish one kg of kepsa. So I'm saying, grab a few friends and head out to this restaurant for that weekend brunch and you won't be disappointed.